Scotch Precision Ultra Edge Scissors, 8 Inch, 3-Pack, Was $25, Now Only $14.99! You are here: Home / Great Deals / Amazon Deals / Scotch Precision Ultra Edge Scissors, 8 Inch, 3-Pack Was $25 Now Only $14.99! 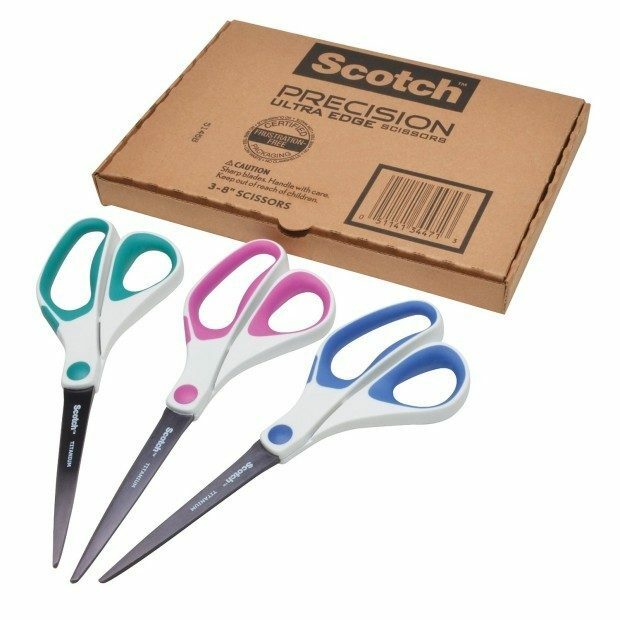 Scotch Precision Ultra Edge Scissors, 8 Inch, 3-Pack Was $25 Now Only $14.99! Perfect for Holiday crafts, sewing and present wrapping! Head to Amazon to pickup the Scotch Precision Ultra Edge Scissors, 8 Inch, 3-Pack, Was $25, Now Only $14.99! Shipping is FREE on orders of $35+ or if you have Prime!